I would like a different email to be automatically sent to the user depending on how they answered a particlau questions. How can this be done? Am I limited on the number of automtic emails I can place on my form? Specifically, I want to add a different email for the particular question on my form shown in the screenshot I have uploaded. You can create multiple email autoresponders and send them to the form users based on their choices by using Conditinal logics. Kindly follow these steps to accomplish the scenario. 1. 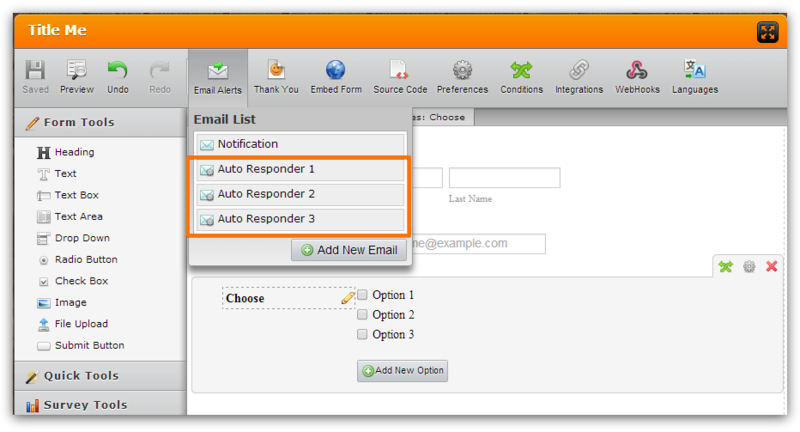 Create multiple email Autoresponders. Basically the you need to create the same number of autoresponders as the number of options of your question. 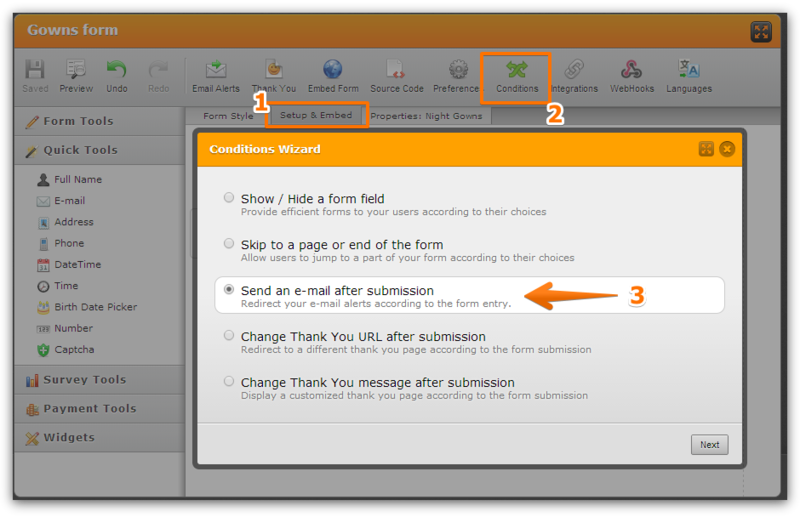 You can edit/change the content of the autoresponders in the Compse Email wizard by clicking on each autoresponder. 2. Create the conditions. Go to Setup & Embed > Conditions > Send an email after submission. I hope this helps. Please inform us if you need further assistance with this query.